Star Wars: Battlefront is nearly here, and players everywhere are gearing up to live out their Star Wars infantry dreams for the first time in about ten years. But just how nerdy is it? Andrew got some hands-on time with the game and came up with a list of his favourite nods to Star Wars lore and fandom. 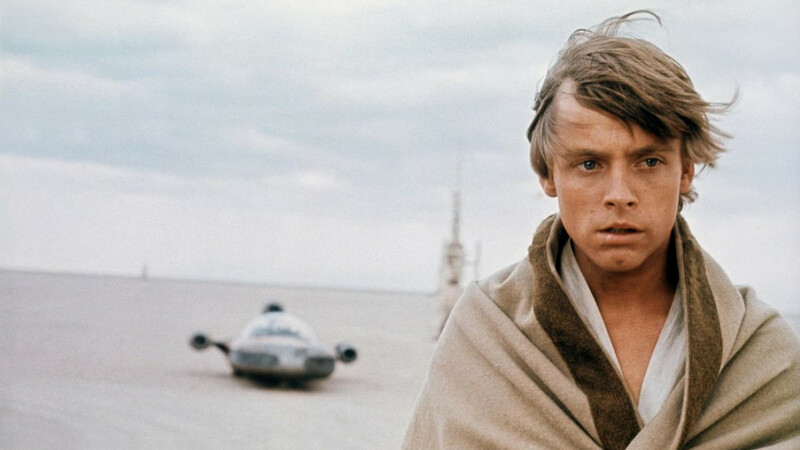 Blink and you’ll miss them, but Jawas and Ewoks are there in Star Wars: Battlefront. They can be seen fleetingly running for cover in sandcrawlers and caves and in tree villages, letting out their respective jabbery yelps. You can’t shoot them, but it’s good to know they’re there, anyway. And though it’s never happened to me, according to an achievement, Ewoks can throw rocks at you. Yub nub. While the voices of Han, Luke, Leia, Darth Vader, and the Emperor are merely soundalikes, Boba Fett is played by none other than Temuera Morrison, reprising his role from the Star Wars prequels and the special edition of The Empire Strikes Back. After hearing the dreadful fake Kiwi accents in the animated Star Wars TV shows, it’s gratifying to hear the real Temuera back again. Plus, it’s pretty cool to play as a New Zealander. Like Destiny, Battlefront has a vast array of emotes on offer. Unlike Destiny, they only cost in-game credits, not real money. They’re also packed full of amusing in-jokes for Star Wars fans. You’ll find the Jedi mind trick hand-wave, mimed lightsaber fights, and a faux Force grip, as well as one labelled “Droid” that has your character do The Robot. Best of all are “Raider”, where you perform the victory call of the Sand People, and “Noooo”, a gently mocking rendition of Darth Vader’s infamous call from the end of Revenge of the Sith – complete with staggering legs and dramatic arms. This one’s particularly nerdy. The one playable world that’s an original DICE creation, Sullust, is home not only to Nien Nunb’s species, but also to a great big factory owned by the SoroSuub Corporation. 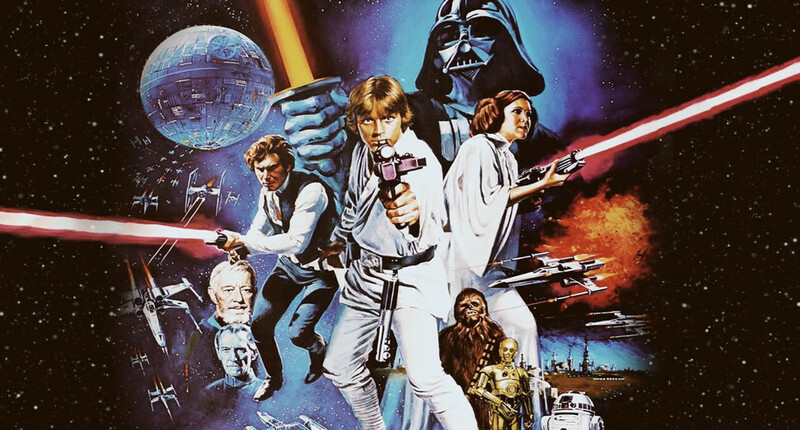 SoroSuub is a company in the Star Wars universe responsible for the creation of commlinks, certain landspeeders, and Lando Calrissian’s vessel, the Lady Luck, while in the “Legends” universe, they built all manner of starfighters, freighters, and space yachts. And although a lava planet might not be the most stable place to build a significant manufacturing industry, it’s fun to see SoroSuub represented in Battlefront. Most of the playable heroes’ abilities are fairly straightforward offensive or defensive moves (lightsaber slashes, shields, Force powers), but one of Han Solo’s is a specific reference to a single scene from the original Star Wars. It’s straight out of the scene where Solo charges at a small group of stormtroopers, only to run into a much larger one and regret his bravado. The “shoulder charge” manifests as a dash move in-game, but it’s really an expression of our favourite space smuggler’s swagger. The various maps in Battlefront certainly feel like the planets upon which they're based, but there are a few Easter eggs that can only be found by straying a little bit away from the action. For example, on the "Dune Sea Exchange" map on Tatooine, you can find (and fall into) the maw of a Sarlacc, but nerdier still is the presence of a Krayt dragon skeleton. 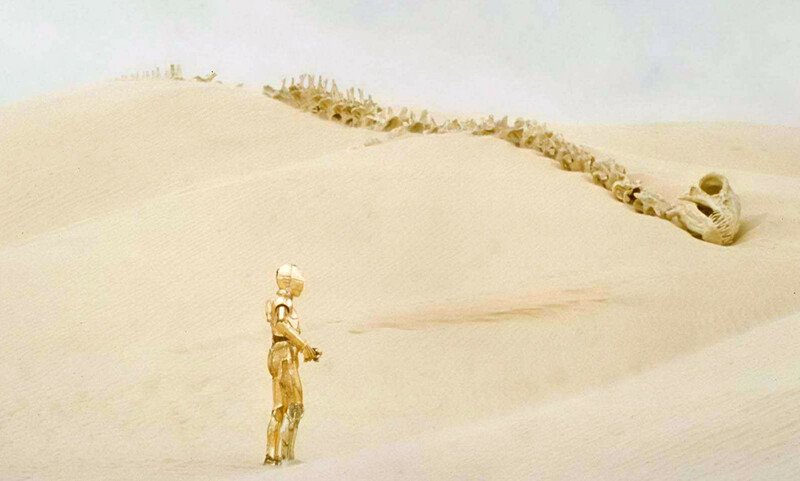 Though not yet seen alive in official Star Wars canon, a skeleton of the beast can be seen in the distance in the original film, and it's the call of a Krayt dragon that Obi-Wan imitates to scare off the Sand People. All the playable worlds in Battlefront are either creations of DICE (Sullust), or taken from the original trilogy (Hoth, Tatooine, Endor) or the upcoming The Force Awakens (the free Jakku DLC). But a few nods to the prequels still remain, in the form of visual and audio effects. For example, the Squad Shield powerup takes its cues straight from the organic-looking Gungan shields from The Phantom Menace (right down to the effect of blaster fire being deflected, but physical objects passing through), while the sound effect of the Thermal Imploder grenade is remarkably reminiscent of Jango Fett's sonic missiles from Attack of the Clones. No Jar-Jar, though. Both the Rebels and the Empire can acquire a powerup that spawns an autonomous droid to attack the enemy. 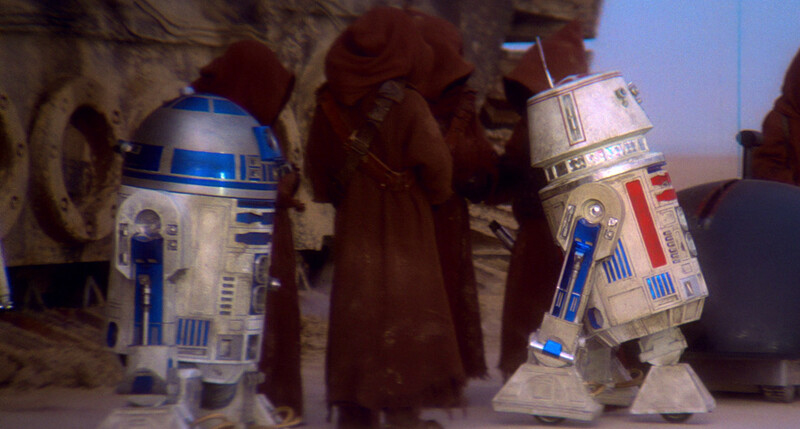 For the Empire, it's a hovering probe droid, but for the Rebels, it's a plucky little astromech droid called R5-D4. That's the same droid that goes haywire when Owen Lars tries to buy it in the original Star Wars. Seems R5-D4 got a new motivator installed and found a new purpose on the battlefield. Photogrammetry doesn't just mean photorealistic graphics. The data used to build the in-game map assets is comprised of images from the original shooting locations from the original trilogy. Tatooine is built up of images from Tunisia; Hoth's icy landscapes come from glacial Norway; and the mighty trees of Redwood National Park served as the basis for the forest moon of Endor. It's comforting to know that we're playing in a recreation of the real-life locations that's truly taken from the real thing. In producing Battlefront, the DICE team got access to the entire Star Wars sound library, including one of its most famous effects. DICE would only smile and wink when asked, but the Wilhelm scream is totally in the game. As it should be. Star Wars: Battlefront releases in Australia and New Zealand on November 19, on new-gen consoles and PC.